To create the first interdisciplinary research and education centre dealing with blockchain technology and dominating in Poland, Central and Eastern Europe (and one of the leading centres in whole Europe). 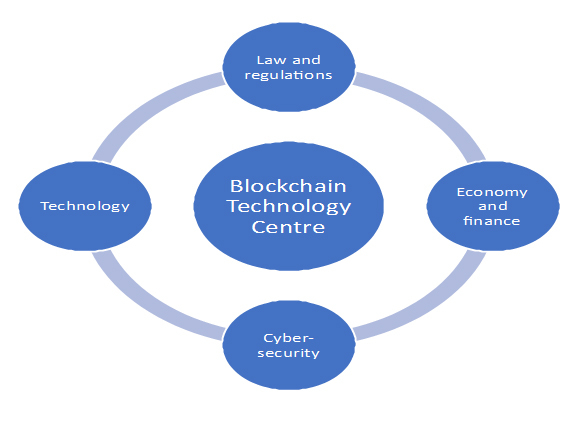 Through interaction with business and public administration, the centre will provide knowledge on blockchain technology needed in the market. Within 2-3 years, the centre should get the ability to receive research grants and provide a wide range of educational forums on blockchain and its various applications. d. the low of smart contracts and of decentralized autonomous organizations. e. investment strategies on the cryptocurrency markets. c. cryptography of blockchain technology. c. protection of consumers (‘Internet of Things’).